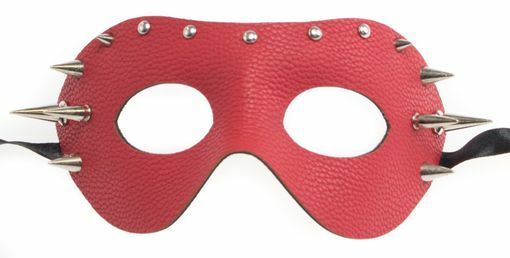 Soft matte faux leather eye mask, adorned with metal spikes. Great accessory for a Naughty Devil Costume. Easy to wear with black ribbons ties.